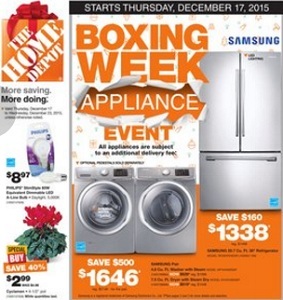 Browse Home Depot Boxing Day 2017 Deals. 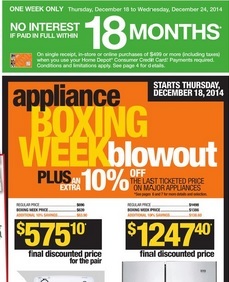 Get the Home Depot Boxing Day sales, flyer and hottest paint & tools deals – all in one place. Home Depot is one of the largest retailer of home improvement and construction products and services in Canada. Home Depot operates many big-box format stores in which it sells home appliances, tools, hardware, lumber, building materials, paint, plumbing, flooring, garden supplies & plants and many more. 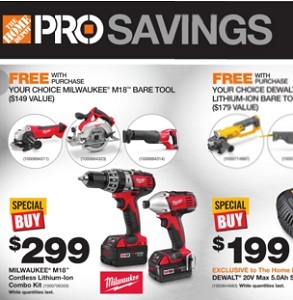 Shop from the comfort of home and you will find competitive prices on the latest Home Depot products – all in one place on yflyers.com. 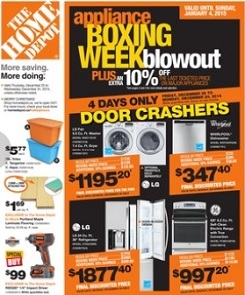 View our leaked copy of the Home Depot 2017 Boxing Day flyer – we post all the leaked Boxing Day flyers each year.